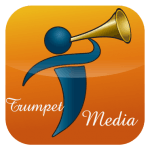 You may have been one of the few people who missed the download link for Part 2 of Gospel Praise Jazz – African Medley (by James Taiwo). Here is the link. The Part 1 of the medley pack can also be downloaded here. You can play both Part 1 & 2 of the album directly online and offline. As mentioned in my previous post, you are granted the full right to use the songs for your benefits. Feel free to duplicate the songs and re-share them with your loved ones. I can’t wait to hear your feedback on the songs; please feel free to contact me here. While you visit the site https://jamestaiwo.com for songs’ download, remember to subscribe for my free articles and other inspirational resources that I frequently share.